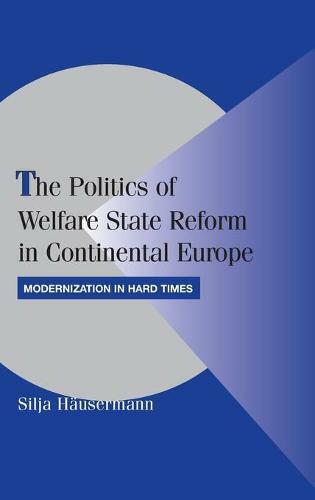 This book challenges existing theories of welfare state change by analyzing pension reforms in France, Germany, and Switzerland between 1970 and 2004. It explains why all three countries were able to adopt far-reaching reforms, adapting their pension regimes to both financial austerity and new social risks. In a radical departure from the neo-institutionalist emphasis on policy stability, the book argues that socio-structural change has led to a multidimensional pension reform agenda. A variety of cross-cutting lines of political conflict, emerging from the transition to a post-industrial economy, allowed governments to engage in strategies of political exchange and coalition-building, fostering broad cross-class coalitions in support of major reform packages. Methodologically, the book proposes a novel strategy to analyze lines of conflict, configurations of political actors, and coalitional dynamics over time. This strategy combines quantitative analyses of actor configurations based on coded policy positions with in-depth case studies.